When you are packing your delicate belongings, you need to focus the most on choosing the right packing materials. And for obvious reasons, you will need plenty of them. If you anyhow fail to pack the items, you may certainly find them damaged. Thus this part of packing is very crucial. Now let&#39;s see the basic packing materials for fragile items:  Packing Paper: This is the first layer of your packing. A soft wrapping paper may not seem enough to protect your delicate items but packing paper is very useful for the first base.  Bubble Wrap: Once you wrap the belongings with the packing paper, then you may go for the bubble wrap. Bubble wraps are excellent and are being used to protect delicate items for so many years. You can also use bubble wrap only avoiding the packing paper but the duo will be far better. 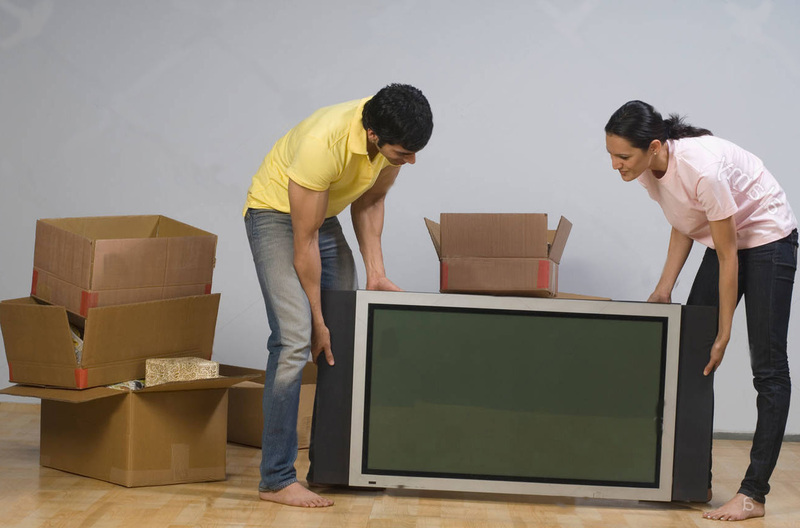  Card Board Box: New cardboard boxes are the ultimate packing material that you may need to pack fragile things. Always try to find new, small and firm cardboards. They are often best in quality. 2. Packing Glassware and Dishes Your kitchen is basically the storehouse breakable items thus kitchen dishes are the most important and vital when it comes to fragile item pacing. Packing this part is quite hard as well and examines your packing capabilities. The first thing you need to consider while packing these items is their level of fragility and start packing them accordingly.  First of all get a big stack packing paper and place it on the surface of your kitchen and get down all your delicate kitchen items.  Cover all the plates and glasses with the packing papers and wrap them all. Now put more papers within every one or two plates and put papers randomly in the cups, mugs, and bowls.  Now if you want to wrap them again with bubble wraps. If you don&#39;t want, make you have put enough papers.  Now arrange them all in cardboard boxes. Make sure the boxes are small but strong. Always choose cardboard without any structural damage. 3. Packing Musical Instruments Musical instruments can through real challenges to you. They can be super expensive and can also be very close to your heart. Safe moving for these instruments is very challenging as they are very delicate. Moreover, they are damage prone. Even the slightest bit of carelessness can cause real damage.  For your small instrument packing, you need well-padded bags, boxes of different sizes and most importantly the instrument case. If you already have them you may start packing and if you don&#39;t have you must purchase them.  Now put the case into cardboards and take these small instruments along with you.  But you cannot pack the large instrument on your own. Large instruments such as the Piano. You need to hire professional packers and movers who also offer piano moving services or else you have to hire piano movers. Otherwise, you may end up causing physical injury as well as property damage. 4. Packing Electronics Devices Monitors, computers, scanners, gaming gadget, audio devices are electronic gadgets that are usually found in our houses. We all know how much fragile these gadgets are. Thus while moving them, you have to be very careful. Even for transportation, you must make sure that no fraction happens.  We all have the original boxes that come with our electronics gadgets. It is the best option to use those boxes. In case you don&#39;t have them, you can pack the gadgets on cardboard. But for this you have to pack them with packing paper or the best idea will be the bubble wrap.  Before putting your devices into any boxes, take a picture of the wires. So that you can later set the wires easily in your new home.  Now backup all your data to cloud storage. Thus even if you lose the data or the device gets damaged, you will always be capable of restoring them.  Now put your gadget into the boxes and put soft blankets to prevent breakage. 5. Labeling the most important part When you are packaging the fragile items, you must label the boxes. The labels should be easily readable so that there remains no confusion. Never rely on your memory because it may cost you a great loss of damaging your valuable devices. Labeling is very important while loading the packets, you will come to know which packets have these fragile items. And then you may load them with utmost care and even while unloading you will keep them safe. The boxes of fragile items should never be on the bottom. They should always be on top or in some corner where the boxes don&#39;t feel pressure. When you are packing your delicate belongings, you need to focus the most on choosing the right packing materials. And for obvious reasons, you will need plenty of them.